CHP officials have issued a safety reminder to motorists regarding disabled vehicles following the death of a man they say was struck and killed while running across the northbound lanes of Interstate 215 Saturday night. Juan Escutia-Herrera, 51, of San Bernardino died on the scene of an accident on the freeway south of Keller Road in Murrieta just before 9:30 p.m. Saturday, according to the County Coroner's office. According to witnesses, the victim had left his disabled vehicle in the southbound freeway lanes and was running across the northbound lanes when he was struck by another vehicle. 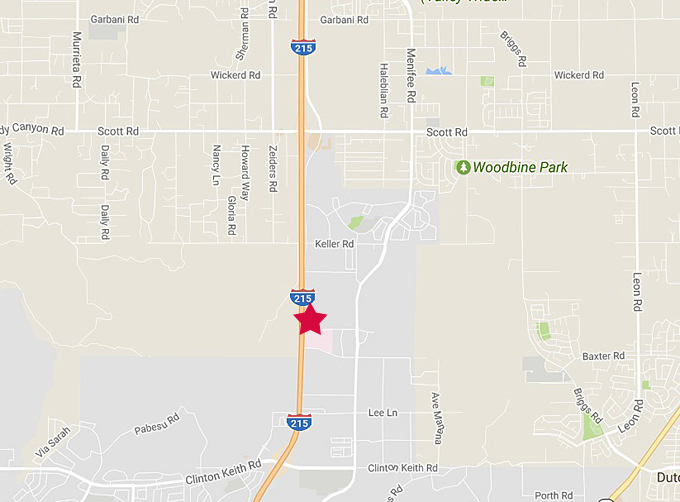 According to CHP officer Mike Lassig, two men were seen running from a green minivan disabled in the southbound freeway lanes north of Clinton Keith Road. Escutia-Herrera was struck by a 2009 Toyota Scion while running across the northbound lanes and died at the scene. The driver of the Scion, 37-year-old Clayton Knott of Rialto, was not cited. "The CHP would like to remind all motorists to never run across freeway traffic lanes. If your vehicle becomes disabled, motorists are encouraged to call 911 from their cell phones and CHP can respond to assist. If motorists do not have a cell phone, they can utilize the freeway call boxes, which are located on each side of the freeway."